Would you rather have 100 people who LOVE your product or 1 million people who sort of like it? This particular episode reminded me of Kickstarter, startups, and the type of entrepreneurs for whom I write on this blog. I don’t know about you, but I don’t have 1 million customers. And of the customers we have, only a fraction of them actually follow Stonemaier Games. But Masters of Scale reminded me that this is okay. 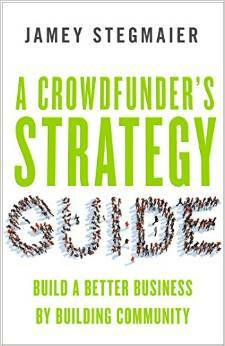 The foundation of a business can start–and sometimes even sustain itself–with a critical number of true fans. 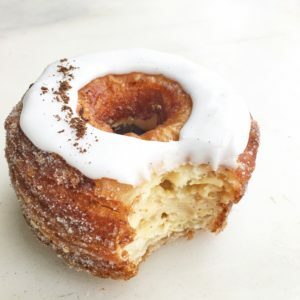 The delicious example provided in the episode is the Dominique Ansel Bakery, the creator of the cronut. People loved the cronut so much (and how Dominique treated them) that they were eager to keep coming back and spreading the word. Win people over one person at a time. It’s not just about the product. It’s about how I interact with each our potential and existing customers. The product needs to be great too, in the mind of the customer. Of course you think the product is great, but what about other people? Are the people who test your product eager to share it with others? Are they already telling other people, “You gotta try this”? Ideally the product is designed to be frequently used or experienced. The first two points matter little if your true fans rarely get to use or experience your product, and they matter even less for reaching new customers. I often think about this in terms of game design: How easy is it to remember the rules, introduce this game to someone new, and set it up? Don’t expect blind devotion from true fans. As important as it is for Stonemaier Games to attract new customers, it’s even more important to me that we keep the fans we have. I don’t want to ever assume they’ll remain fans in the future. Basically do the opposite of what phone and cable companies do: They give the best offers to new customers, not to existing customers. I want to respect our true fans today even more than when we first met. True fans can sometimes be offputting to newcomers. Just today I read a comment from a backer of a Kickstarter project who was hesitant to go all in because, in their words, “I didn’t like the crowd of fanboys in the comments repeatedly thanking [the KS creator] for making them feel so excited.” Excitement is great, but I try to put myself in the position of someone on the outside looking in–it can be a bit daunting, so I try to encourage our fans to be inclusive, welcoming, and even constructive. What do you think about this topic? If you listened to the podcast, did you glean any interesting tidbits I missed? Oh, and I wanted to give a quick mention to an excellent “Kickstarter year in review” article from Daniel Zayas. It’s a must-read for KS creators, in my opinion. This was a good article and definitely sparked thought. This is one of my personal biggest areas of improvement, being that I don’t like modern means of communication and am forcing myself to learn and use it. Its not that I don’t necessarily dislike people. I digress. I understand that it is not only important but also I do actually want to engage with people positively, and social media is where that takes place. That being said for context, this article was encouraging in the sense that quality connections are more important than mass unenthusiasm or neutrality. Perhaps my favorite note, or surprise, was about the select few loud super fanatic crowd that is a turn off. Generally, I appreciate a good comment or product review. But considering the context of working your way into a fan club crowd, this does make sense and should encourage publishers to actively engage and welcome new comers and not only speak to their base. That can indeed be a turn off. Austin: Thanks for your thoughts, and I like your takeaway from it: That a small number of quality, genuine interactions can be much more impactful than a vast number of less quality interactions. Thanks Jamey for the shout out! Great article! Insurance companies are also guilty of screwing their long-term customers as opposed to honoring them with loyalty-based incentives and discounts. It’s all about getting new policyholders in the door, and then back out before they have a claim. That industry sickens me.